Scandal came to a dramatic conclusion Thursday night on ABC, but the real fun occurred after the episode aired with the cast and crew appearing on Jimmy Kimmel Live. The big talking point, of course, was Scandal Season 7 Episode 18, which served as the series finale of the sudsy political thriller. 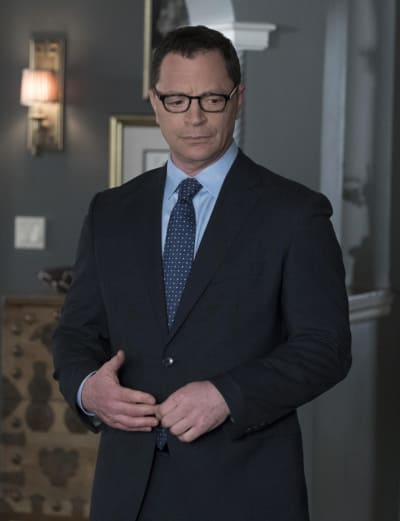 But the sit down with the cast and crew also gave everyone one last time to talk about Joshua Malina who played David Rosen. Over the years, he played some epic pranks on the cast, and well, some of them did not like having to put up with it. So, Jimmy Kimmel drafted in Malina's co-star, Katie Lowes and tasked the pair with visiting a family of Scandal fans. Malina was under the impression the segment was for Good Morning America and that it was to surprise the fans who were watching a recent episode. However, things took a wild turn when one the elder fan has an apparent heart attack, and Malina freaks the eff out about it. How does he react when he learns that Jimmy Kimmel was getting some revenge on him for all the crazy pranks he pulled on the Scandal cast? You'll need to watch the full video below, but be warned; you will be laughing for hours after it.